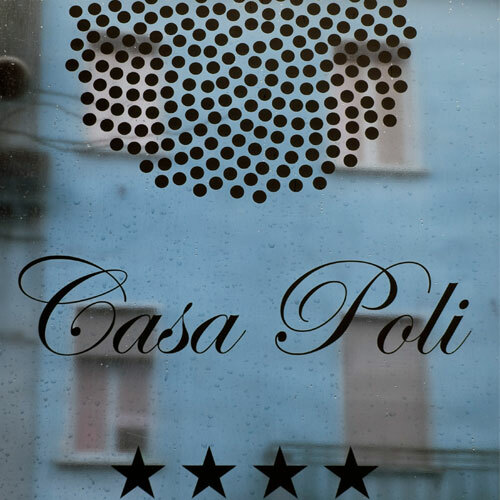 Hotel Casa Poli is not a common 4 star hotel but a unique place, where you can feel our passion for design, details and, in one word, your relax. The 27 rooms at the Hotel Casa Poli (all no-smoking) reflect the unique, exclusive style that is used throughout the hotel. Essential, simple furniture, natural fabrics, design items and light or dark wooden floors: each detail contributes to creating a relaxing, extremely pleasant environment esthetically speaking. 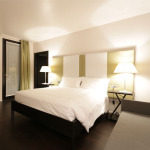 Each room has a large bathroom furnished with precious materials and sophisticated design elements. 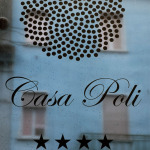 Hotel Casa Poli offers three types of rooms to offer you a relaxing stay on your holiday or business trip in Italy. Standards (1-2 people) are elegantly furnished and include spacious bathrooms. 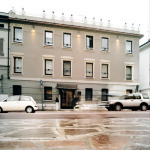 The Superior room (1-3 guests) boast the same elegance and comfort as our Standards but are larger. The beds in all double rooms have double beds. 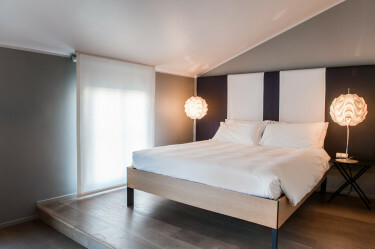 Finally, for “bigger” needs, you can enjoy our Triple room. 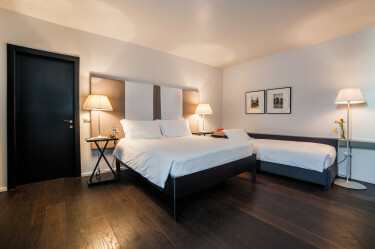 All our rooms are non-smoking and are the expression of the constant attention to detail: parquet floor, bed with double mattress with hypoallergenic pillows, bed linen made with pure Egyptian cotton. During the winter season you will be pampered with goose feather down duvet in light, warm and breathable for a sleep under the banner of naturalness. For the spring and autumn heated blankets in pure Merino wool “Lanerossi”. Our bathrooms by “Agapedesign” have walk in showers or bath tub in mosaic, fluffy bath towels “Guest at Frette”, hairdryer, courtesy set, soft slippers. 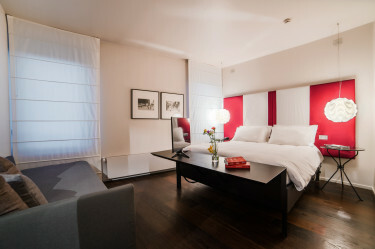 In the room you will also find minibar with a fine selection of alcoholic and soft drinks with salty snacks and sweets, controlled air conditioning, electronic safe, and the free Wi-Fi. The furnishings and finishes complement have unique design, and creating an intimate and elegant location. One of hotel rooms has been equipped for being completely accessible for disabled guests.